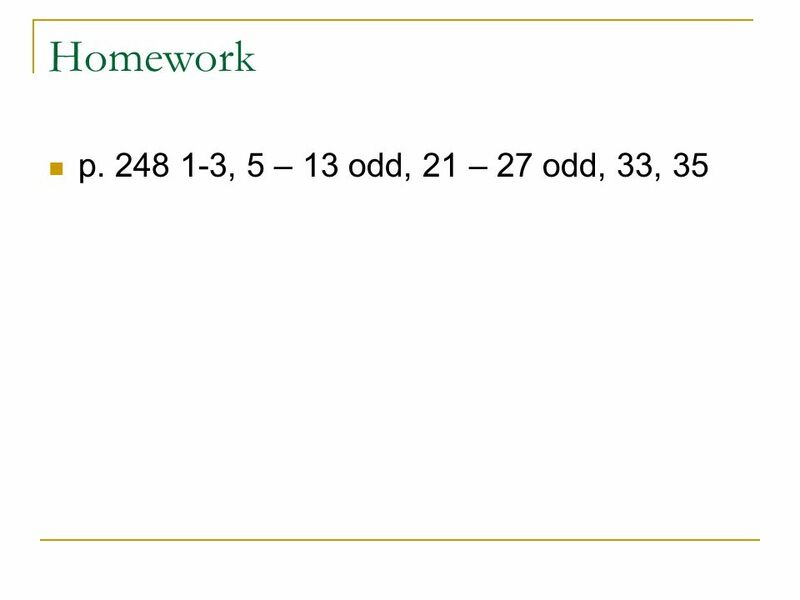 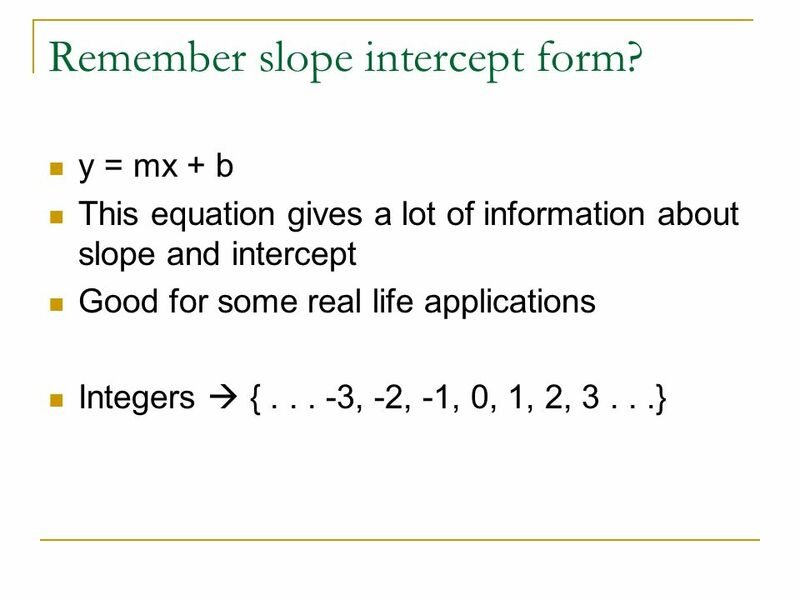 2 Remember slope intercept form? 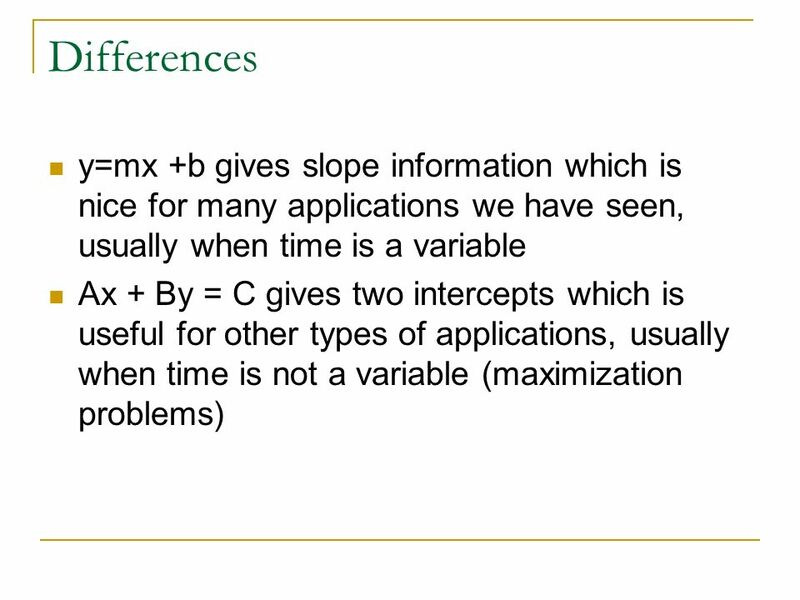 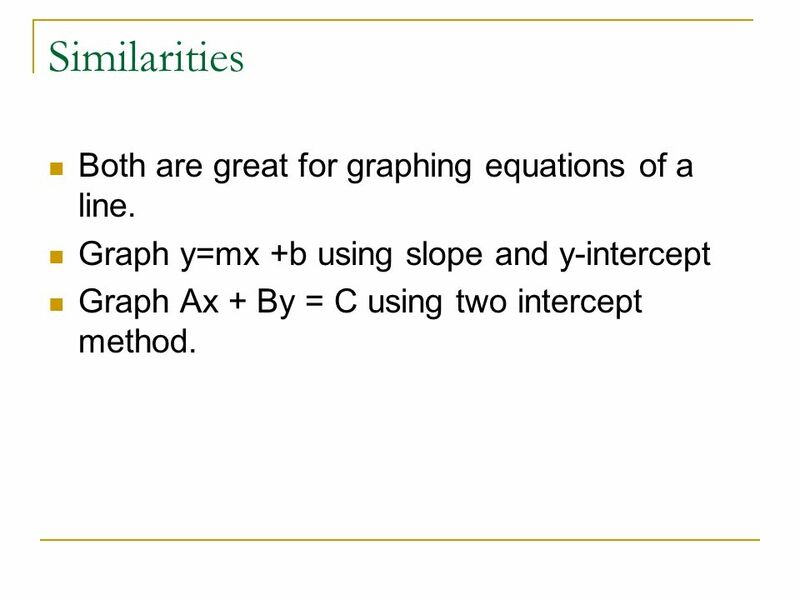 4 Similarities Both are great for graphing equations of a line. 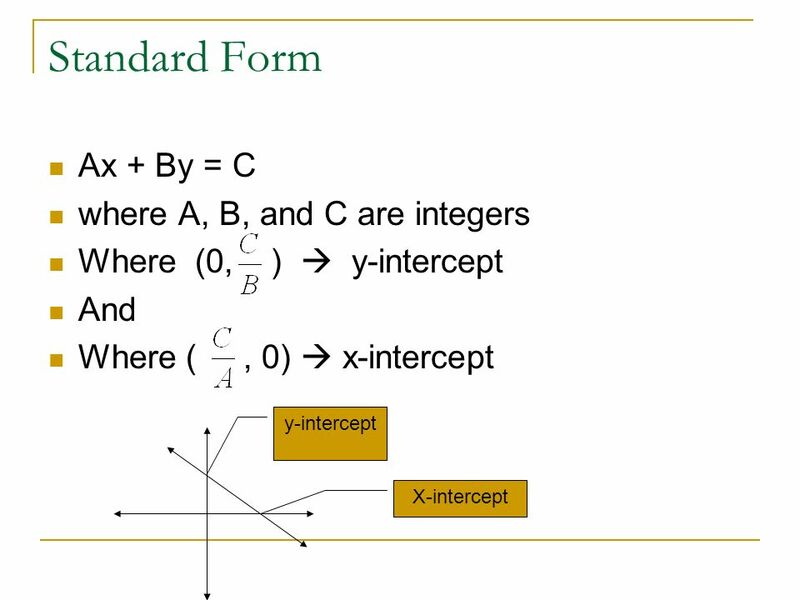 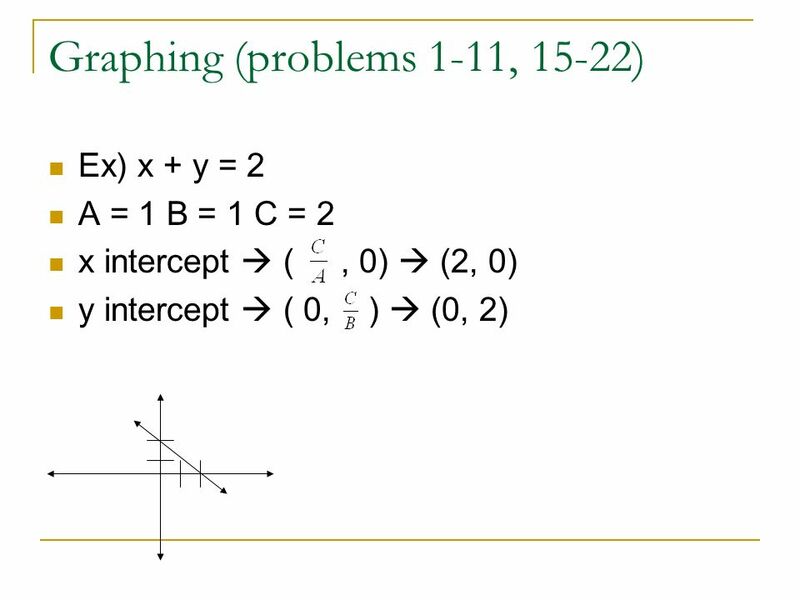 Graph y=mx +b using slope and y-intercept Graph Ax + By = C using two intercept method. 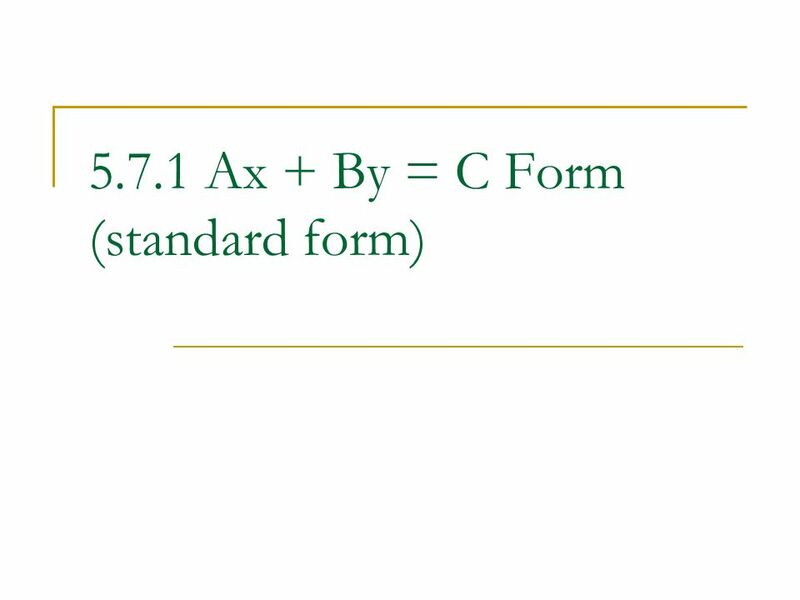 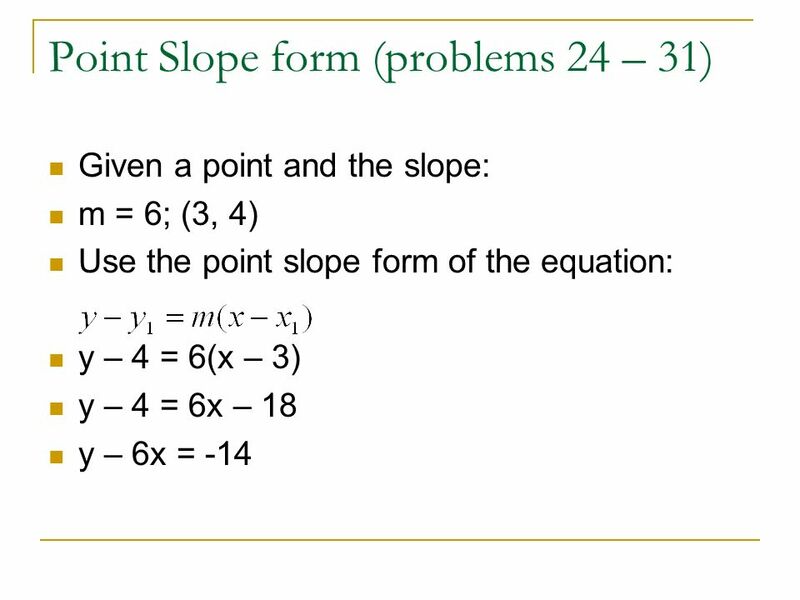 Download ppt "5.7.1 Ax + By = C Form (standard form)"
4 minutes Warm-Up 1) Find the slope of the line containing the points (-1,12) and (5,-6). 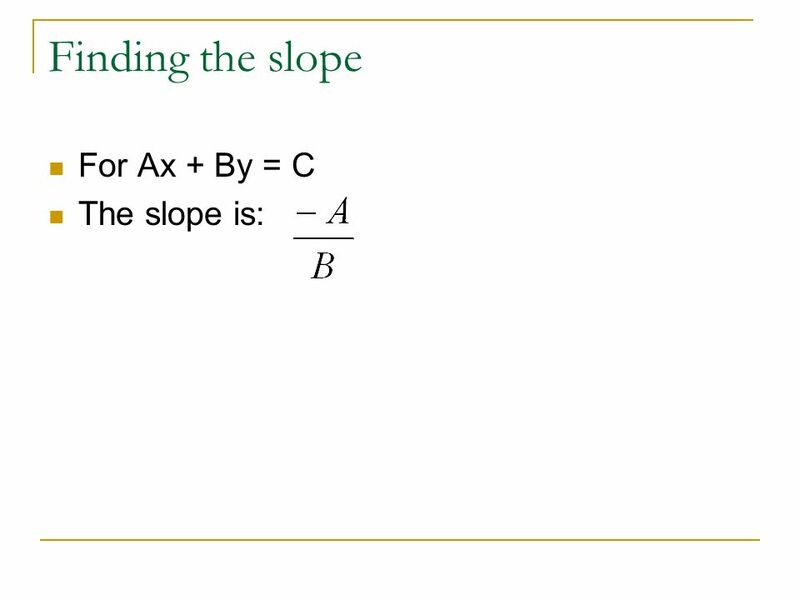 2) Identify the slope and y-intercept for the line y = -5x.